This November, Conrad Algarve will transform into a hub of gastronomic talent, hosting the second edition of the culinary event of the year - Culinary Extravaganza 2.0. This three-day gourmet showcase will take place from the 4th to the 6th of November. 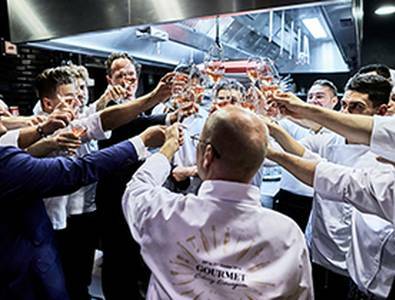 A total of 16 Michelin-starred, globally renowned chefs will descend on the Conrad Algarve to create a series of exclusive ticketed culinary events across the weekend, hosted by one of the world’s leading chefs, Heinz Beck. Already established as a gourmet hotspot, with GUSTO headed up by 3 Michelin-Starred Chef Heinz Beck, Conrad Algarve reached new culinary heights in 2016 with the inaugural Culinary Extravaganza. Following the huge success of the event, Conrad Algarve hosts this food lover’s paradise for a second year running, now as part of an annual gourmet initiative to encompass the Hilton brand. Hosted by the Master of gastronomy Chef Heinz Beck, the Culinary Extravaganza 2017 line-up will bring together a top selection of Chefs, Sommeliers, and Mixologists from Hilton’s worldwide global fine dining portfolio. There will be a plethora of 5 glamorous events on offer including the Grand Opening Event with live performances, a BBQ Brunch at Dado Q, and a Roof Garden Suite lunch to name a few. The weekend makes the most of all of Conrad Algarve’s outlets and the stunning surroundings, as well as showing off the famed Hilton gourmet offering. Several Hilton Chefs who take up residence in various Hilton hotels across the world will host the weekend alongside Heinz Beck, as well as renowned international chefs hailing from destinations in every corner of the world, including Prague, Istanbul, Netherlands, Cairo and Dublin. This year’s Culinary Extravaganza promises to be another three days boasting a unique fusion of flavours, technique, and gastronomic finesse to tantalise all the senses.